Assault and weapon charges were lodged against a Murfreesboro man after he allegedly threatened three Woodbury residents with a gun on Oct. 5. Wayne I. Wentz, 119 Drema Court, Murfreesboro, was charged with three counts of Aggravated Assault and one count of Unlawful Possession of a Weapon with the Intent to go Armed by Woodbury Patrolman Brent Brock. Wentz is reported to have threatened Justin Richardson, Kyle Medley and Stephanie Wilson with a .38 caliber Smith & Wesson at 117-A McBroom St. during an argument over money. Total bond for Wentz was set at $33,000. 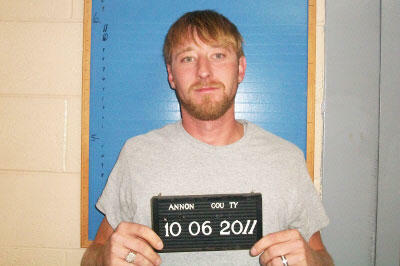 He is to make his initial appearance in Cannon County General Sessions Court on Nov. 15.